Twitter employee deactivates Trump’s personal Twitter account for 11 minutes on their last day of work. 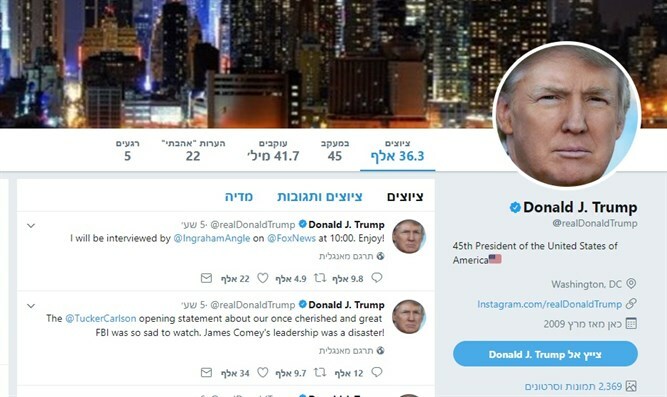 U.S. President Donald Trump’s personal Twitter account mysteriously disappeared from the social network for 11 minutes on Thursday evening. The @realDonaldTrump account returned an error to anyone who tried to access it, but resurfaced moments later, according to The Hill. Twitter said on Thursday night that its employee temporarily deactivated the account and did so on their last day of work, likely meaning the action was deliberate. Earlier, Twitter said in an official statement that Trump's account was "inadvertently deactivated" by a Twitter employee. "Earlier today @realdonaldtrump’s account was inadvertently deactivated due to human error by a Twitter employee. The account was down for 11 minutes, and has since been restored. We are continuing to investigate and are taking steps to prevent this from happening again," it said. Trump regularly uses Twitter to get across information that the mainstream media does not. He often uses the Twitter account to criticize his opponents and has been criticized for some tweets that are viewed as not politically correct. Trump had previously used his Twitter account earlier Thursday to call for the terrorist from the New York City attack to face the death penalty. “NYC terrorist was happy as he asked to hang ISIS flag in his hospital room. He killed 8 people, badly injured 12. SHOULD GET DEATH PENALTY!” he tweeted. “Would love to send the NYC terrorist to Guantanamo but statistically that process takes much longer than going through the Federal system. There is also something appropriate about keeping him in the home of the horrible crime he committed. Should move fast. DEATH PENALTY!” added the president.